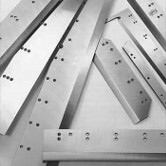 Replacement cutter knives for Triumph paper cutters are manufactured to meet or exceed OEM specifications. 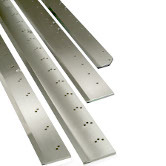 All knives are available in standard grade steel, which is equivalent to or better than the manufacturer's original knife. The most popular knives are also available in premium High Speed steel, which has much higher strength for more cuts between sharpenings.